Hi, I am Andrea Trank. Thanks for joining me here on Heaven Lane, my piece of paradise here on Earth. It is where I live, design and sell jewelry, teach yoga and meditation, work with my family and clients on health issues through essential oils and nutritional counseling; and work on social media marketing for wellness companies. A bit about me. My background is as eclectic as my jewelry designs. I have been a TV news reporter, public relations consultant, science teacher, college professor and business owner. My passions are health, clean living, beauty and overall wellness living. Jewelry Design—I began designing jewelry as a hobby in 1995. My hobby quickly became a business as more and more people wanted to own my designs. My specialties are in mixing colors and making designs that are as beautiful and unique as the customers who wear them. There is literally nothing I can’t make for you. Techniques I am trained in include: bead weaving, bead embroidery, wire wrapping, Kumihimo, bead crochet, pearl and bead knotting, leather work, and traditional stringing. I have worked with all age populations of men and women, and with pregnant students in all settings – hospitals, nature centers, gyms, corporate wellness programs, and privates. My advanced teaching and science degrees and background mean you will receive the most attentive, carefully crafted, compassionate yoga instruction that will meet your physical and emotional needs. I discovered doTERRA on my journey into healthy living and have been using these amazing oils since 2014. 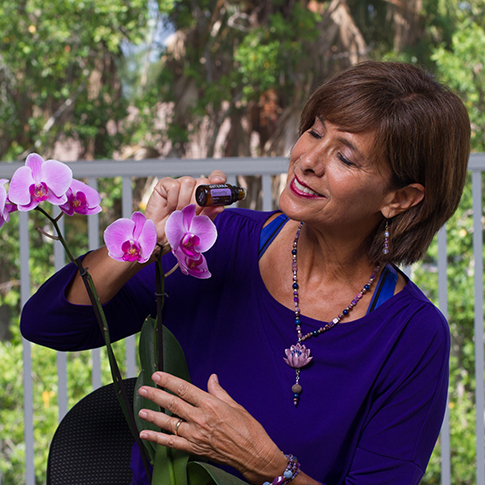 I have taken dozens of on-line training courses in the science of the oils. First I wanted to learn and use them on myself and my family and then I quickly realized my passion extended to assisting others in understanding how to use the oils and obtain the maximum benefits and healthy use. My undergraduate degree from the University of Virginia is in Mass communication. I am a former news reporter and owned my own PR firm in the early 90s. Running my own business, I am proficient in all aspects of social media— using Facebook, Instagram, Pinterest, Twitter, YouTube, and Google Plus. I am proficient in the following programs — Instapages, Constant Contact, Send Pepper, Animoto, Canva, Pic Monkey, WordPress and more!. Contact me to see how I can help your Healthy Living information reach more people. We offer unique, hand crafted, one of a kind jewelry pieces that are made with love and customized specifically for you. Take advantage of our FREE 30 Minute Consultation and discover how Heaven Lane can assist you in achieving better health. We invite you to experience our customized, healing yoga classes specifically designed to meet your physical, emotional and health needs. We offer an opportunity to take your marketing to the next level with custom designed strategies for your Healthy Living company. We would love to introduce you to our doTERRA essential oils and other wellness ideas to help jump start your journey into healthy. Don’t take our word for it, find out what other people are saying about their experience with Heaven Lane Creations and Andrea. 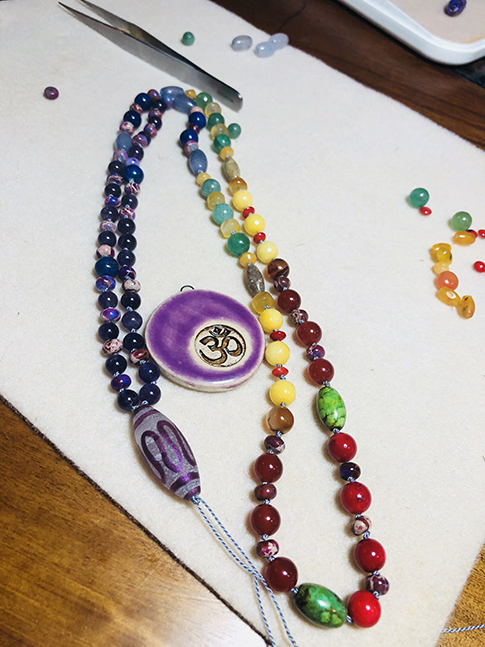 Heavenly workshops that incorporate yoga, healing, meditation, mala and aromatherapy bracelet jewelry design. Heaven Lane handmade jewelry creations are available via our online Etsy store. Each item is custom designed & created with love. Please feel free to contact me at 239-634-0739 or andrea@heavenlanecreations.com for a FREE 30-minute consultation, and discover how Heaven Lane can work with you on the path to health and happiness.